Thank you Kieran! Always a pleasure to see you! Aimee is cool! Hooray for Aimee! Thank you Paul! She is very cool! Always a great cut. Thank you Matt. I'm always pleased with my hair after visiting Emily. She takes time to listen to the style you would like and is a lovely, bubbly and smiley stylist. My only critique is that it was pricey and I question whether the stylists have enough time without the pressure of the next client arriving. This can make customers feel slightly uncomfortable too. As always very good . Thank you very much Lorna! Always as much coffee as you can drink! 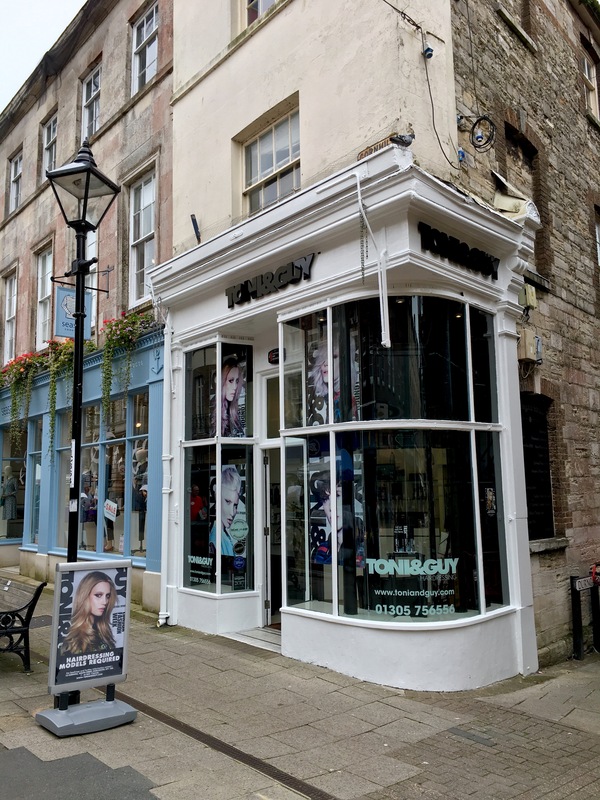 As always I had an excellent experience at Toni and Guy Dorchester. Thank you Carol! Always a pleasure! I popped in just on the off chance someone could cut my hair, didn't dare hope, and then it was my lucky day Aimee was free I was treated to a lovely shampoo and conditioner, a Fabulous new hair cut, came out feeling I was ready for the red carpet, Judy Dench eat your heart out, I was given some extra tips for looking after my new style and will be booking again soon to maintain my new look, might even get a few colour highlights !!! Thank you Shirley-Ann! Judy Dench has got nothing on you! We look forward to seeing you again soon! Colour fantastic and blowed dried by Aimee. Always a pleasurable morning. Thank you girls. Thank you Sarah! Always a pleasure to see you! Had my hair done by Katie today and all l can say is Brilliant she understood what l said about my hair and done a brilliant job . Thank you Emma for this lovely glowing review! Look forward to seeing you soon! Thank you Matt and Tia for great cut and colour. Thank you Sally! thank you for a lovely review! Always a great experience. From arrival at Reception, looked after by Ross, to the professionalism and attentativeness of Matthew. Thank you Barbera! always a pleasure! Excellent service as normal. Will always recommend Tony and Guy Dorchester. Visited as I had a voucher from a charity auction! The staff were professional & friendly from the moment I entered the salon. I was made to feel welcome & offered a drink. My hair was washed using some lush smelling products and this included a mini head massage. Katie listened to what I wanted done with my hair and gave her opinion when asked. The cut looks wonderful & it was finished off with a blow dry and curling brush which left my hair looking beautiful! All this in an hour! Would highly recommend Thank you ???????????????????? Thanks Tracey! Hope to see you again soon! As always I’m coming out from the salon I feel happy and my hair looking brilliant. Katie is amazing hair stylist and keep my hair tidy and healthy. Best service ever i can get! Perfect Laura! Thank you for such a lovely review!